Precise Power is our choice of Electrical Contractor as they are dedicated to finishing our projects on time, to a high standard and within budget. They are reliable, fit in with our project scheduling and communicate well the progress of the electrical component of our projects. This is important for our project scheduling and cost management as we often have several large scale projects under development simultaneously. We will continue to use their services and recommend them to anyone requiring the services of an electrical contractor. I have always found the team at Precise Power to be professional, efficient and courteous. The feedback from our customers with regards to them has always been outstanding. They are always available to take our calls and prompt to attend to job requests. They have reasonable rates and are always willing to provide free quotations and explanations of works to be completed when required by the Landlord. We look forward to continuing our relationship in the future. 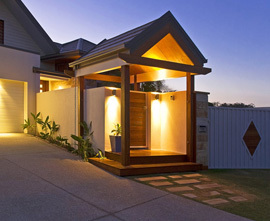 Our company specialises in the building of prestige homes on the Gold Coast. Superior workmanship, reliability and competitive pricing are the qualities we look for in our sub contractors and we continue to use the services of Precise Power as they consistently deliver on these attributes. We would not hesitate in recommending the services of Precise Power and their team to anyone seeking an electrical contractor. Our clients are after quality workmanship and service at a competitive price. Precise Power always delivers on these expectations. We have no hesitation in recommending Precise Power.